What’s driving Google? It seems like there is unbridled optimism about its long-term future, as well as more confidence in the near-term. Google’s search business, which seemed potentially vulnerable for years has taken the best shots of Microsoft, mobile, the U.S. government, and now Facebook, and it’s as strong as ever. Google owns the lucrative search market and there appears to be nothing on the horizon to disrupt it. Then, there’s the Google’s ancillary businesses, which, while they’re not as a lucrative are equally dominant. YouTube is the leader in web video. Android is the global market share leader in smartphones. On the very distant horizon, Google’s early efforts in self-driving cars, and Google Glass, seem like radical innovations that could pay off. 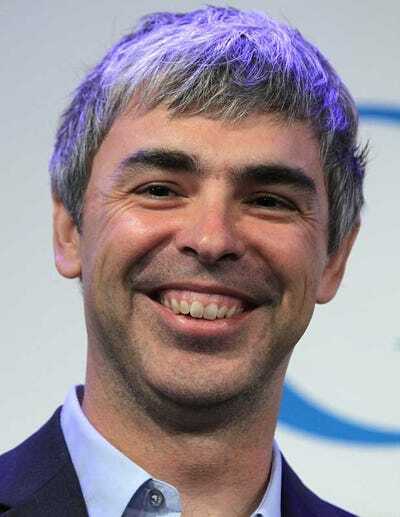 The person leading Google now, Larry Page, has proven that he knows what he’s doing. For a while Wall Street didn’t know what Page was going to do. Instead of being a crazy man who burns money on moon shots, he’s re-organised Google to be more focused. His moon shots still exist but they’ve been targeted to things like self-driving cars, Google fibre, and buying Motorola. These could make investors nervous, but Page has been relatively disciplined in his approach to each of these moon shots. The bottom line on Google: There is no company in a better position to capture what’s next in technology. Tim Cook recently said that Apple’s secret sauce was skills in software, services, and hardware. The problem for Apple is that its software is getting a little long in the tooth, and its services aren’t great. Google’s software is getting sharper, and more responsive. Its services are excellent. While it doesn’t have much hardware experience, it’s doing all it can to change that.